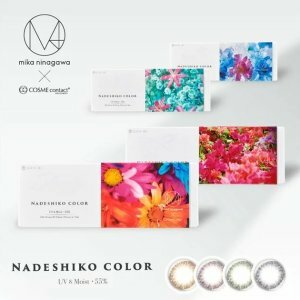 Rakuten Global offers 50% off of selected items NADESHIKO COLOR UV Moist[1 Box 10 pcs Daily Disposal Colored Contact Lens. Shipping price available at check out, buy more save more. Please confirm your shipping fee on the confirmation e-mail from LOOOK store. Please do not refer the shipping fee described on AUTO REPLY e-mail from Rakuten. Once LOOOK store confirm your order, they will send the order confirmation e-mail during their business hour. Deal ends 11/12 16:59 PST.